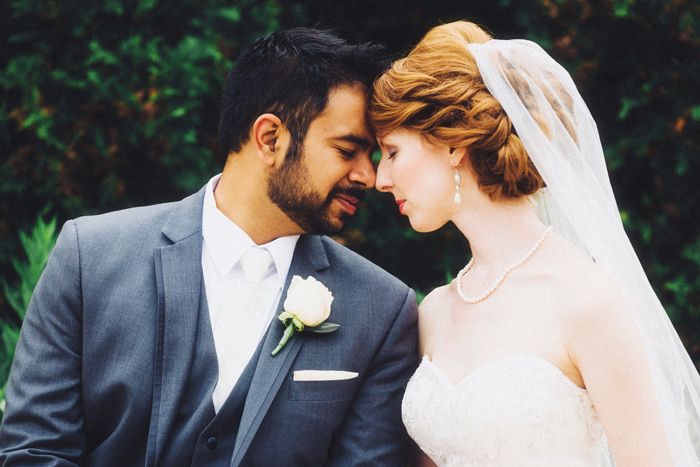 Saagar and Kate met in high school and knew each other for a very long time before they got married. 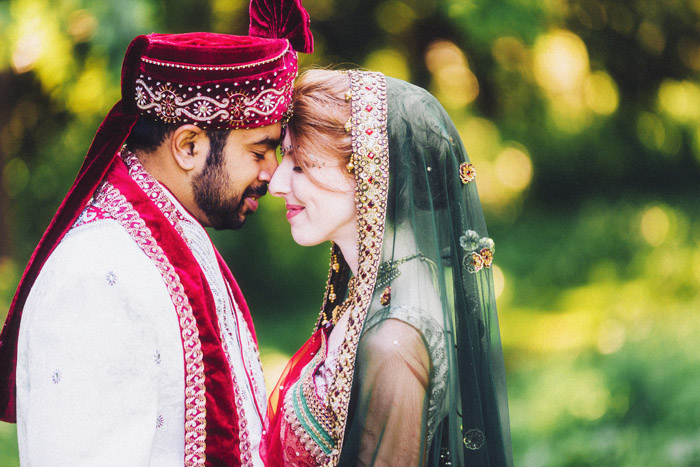 They dated briefly during high school and then each went off to college and explored different things before coming back together to tie the knot! 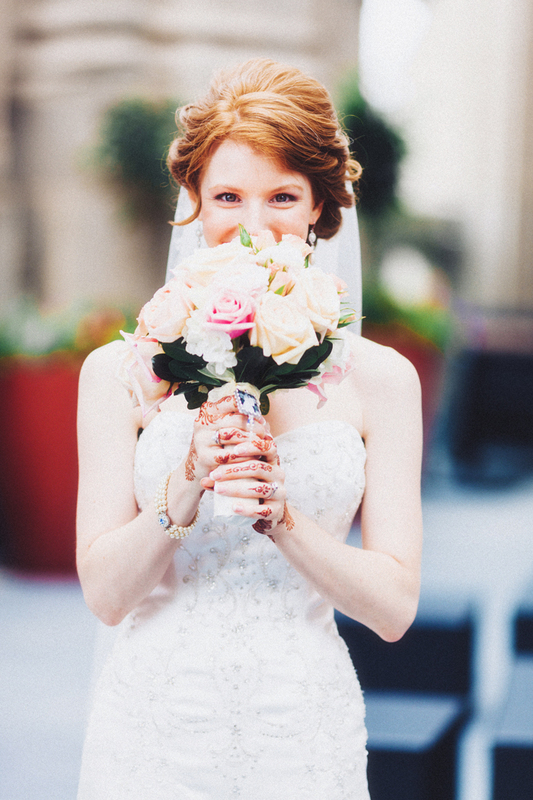 How did you plan the weddings? 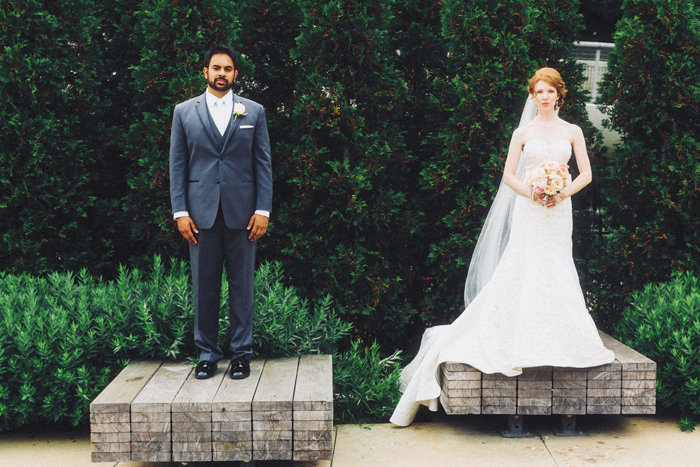 We decided to do everything ourselves, without a planner. And it was fine. 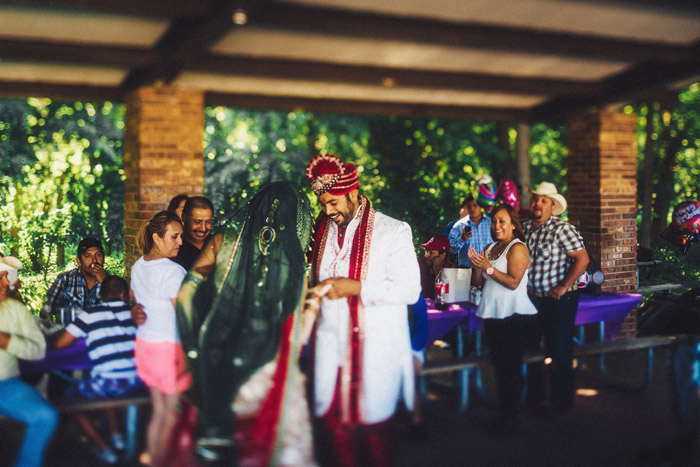 Our families were excited to help and be involved and Saagar and I were also organized and on top of a lot of the details. 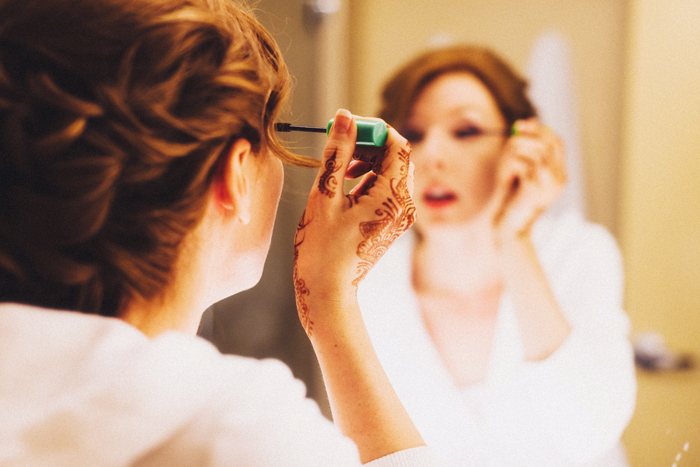 We spent some time thinking about the overall schedule as we knew we wanted to do two ceremonies. Hotels are pretty much the only venues that can handle doing everything in one day since they have the space and the staff. We thought the day would be too long. The pithi, pooja and mehndi party at Saagar’s parents house. 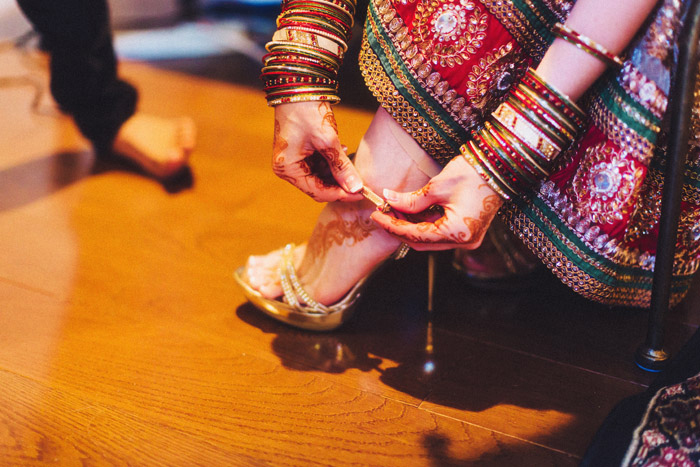 We hosted a mehndi for my bridesmaids and aunts as I wanted them to experience that and feel and make them feel how important they were to our wedding. It was a really fun night. 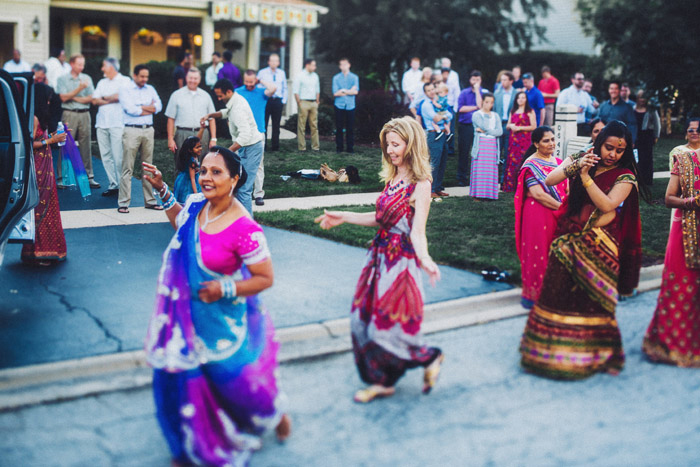 People were even dancing garba in the street in front of the house. 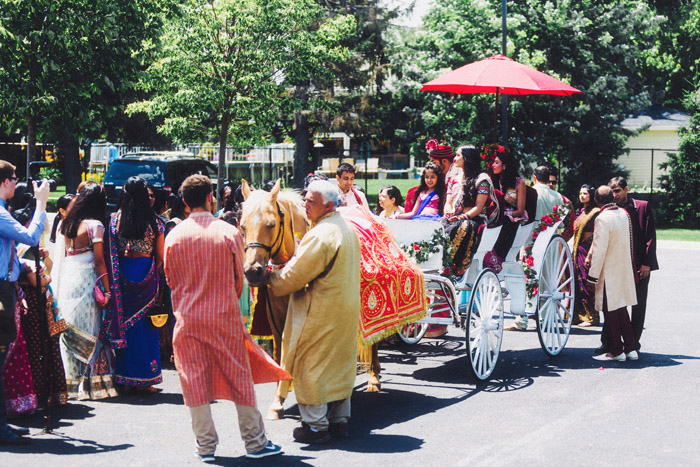 The Hindu ceremony starting with a baraat was at the Swaminarayan temple in Streamwood, Il. We had a break after the ceremony for pictures and for everyone to change. My aunt and uncle hosted a lunch during that break so Saagar and I stopped by over there before changing for the reception. 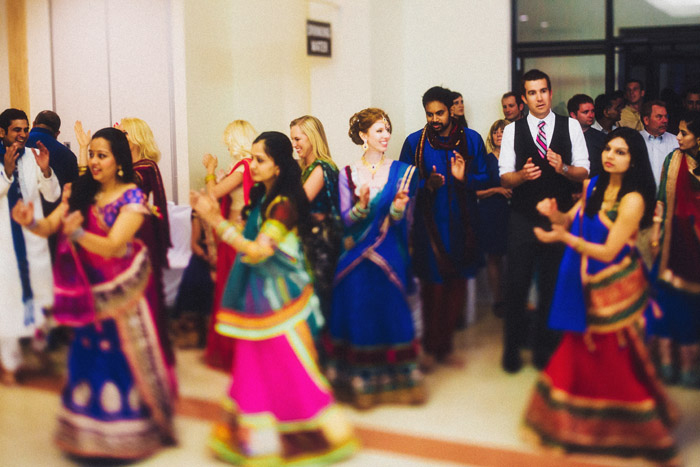 Dinner was at the temple at 6:30, followed by a garba for about 300 people. 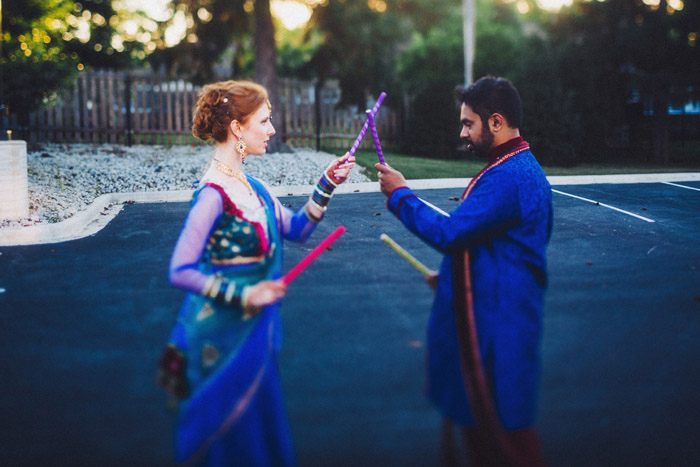 So unlike most weddings, our garba was the day of the ceremony instead of the day before. We did it that way because we had a Western wedding the next day, Saturday, in Chicago. 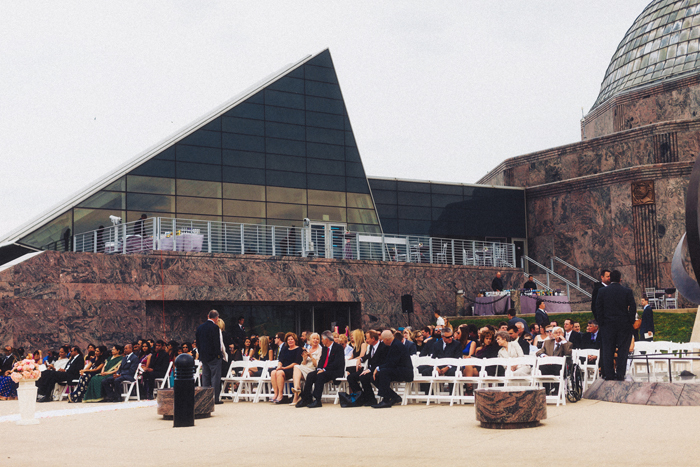 The Western ceremony was on Saturday at the Adler Planetarium in Chicago, right on Lake Michigan. 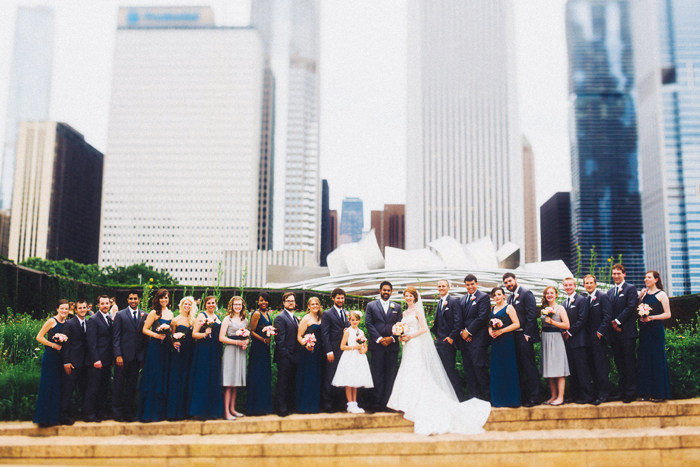 It overlooks the city’s skyline – it’s so beautiful. 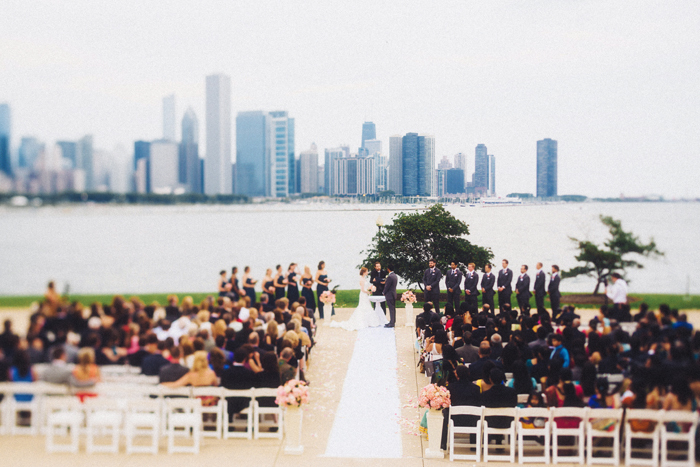 We knew that some part of our wedding was going to be in Chicago. 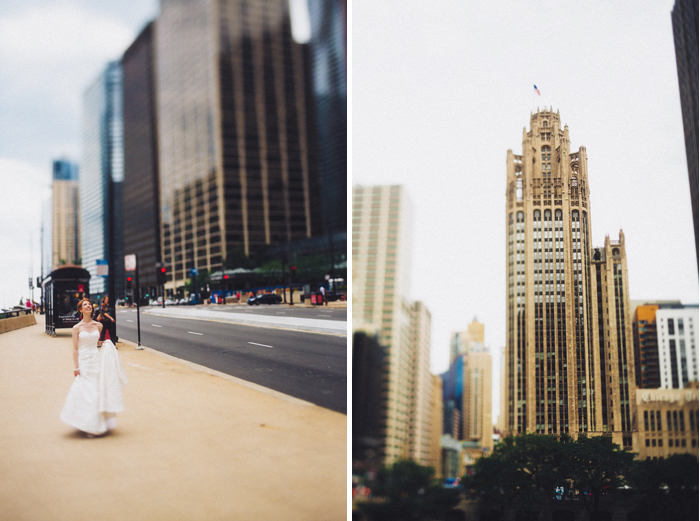 We’ve both spent a lot of time in the city so it was perfect. 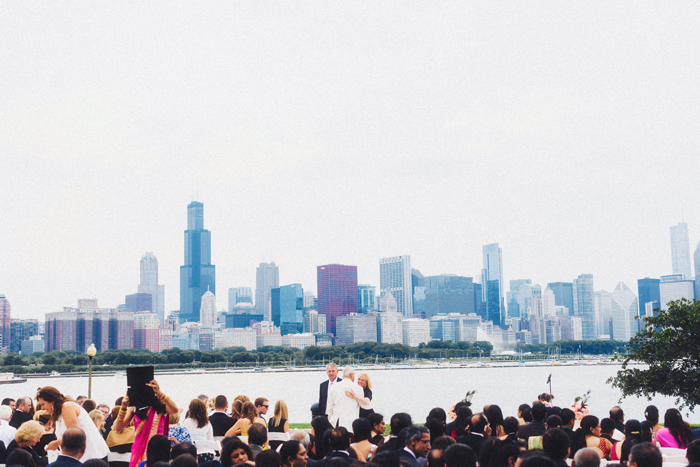 How did you select the Adler Planetarium? 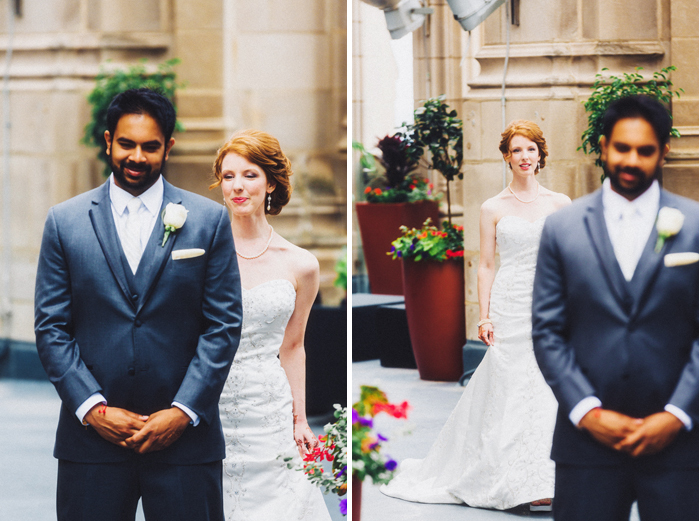 After considering several venues we were nearly ready to sign with the Intercontinental Hotel and do both ceremonies and the reception in one day, when my mom encouraged us to look elsewhere. 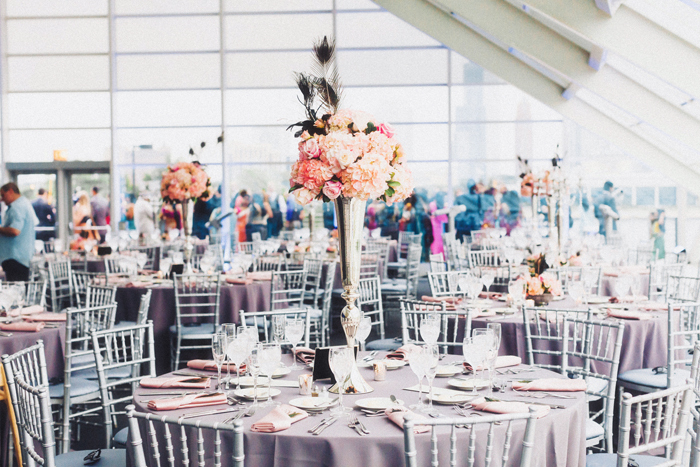 The Adler had a beautiful view of the skyline, could host up to around 350 people, and the catering company was accustomed to preparing Indian food. Thankfully, while contract negotiations had taken nearly three months with the Intercon, we landed ours with the Adler/Food for Thought (their catering company) in one week. 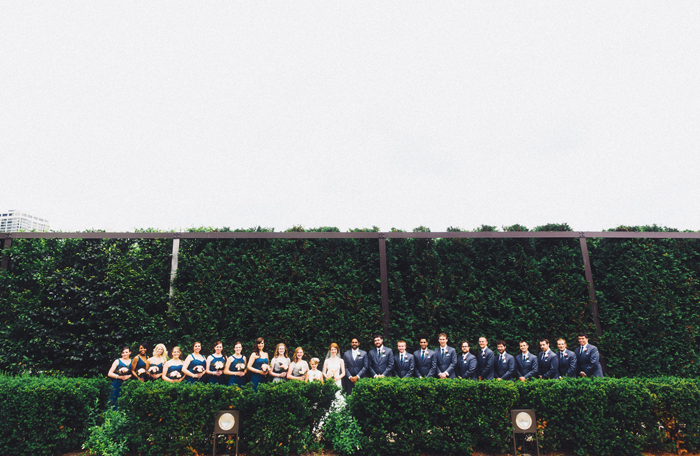 The Adler allows for a ceremony and cocktail hour outdoors – which we loved. 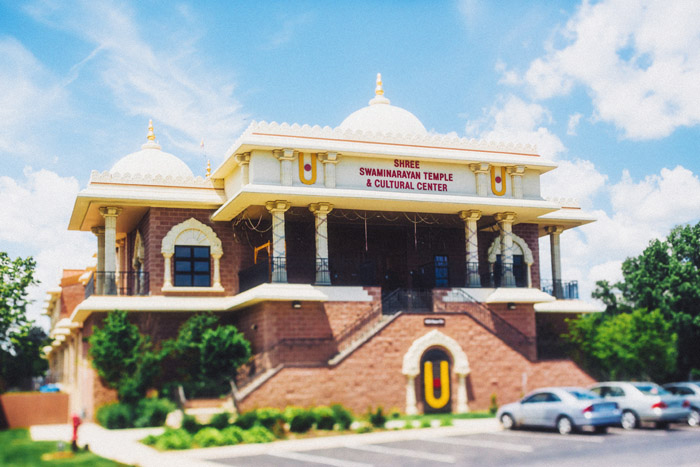 Plus their catering company that handles their events was really flexible and understanding that we wanted Western and Indian fare. They made fusion fare. 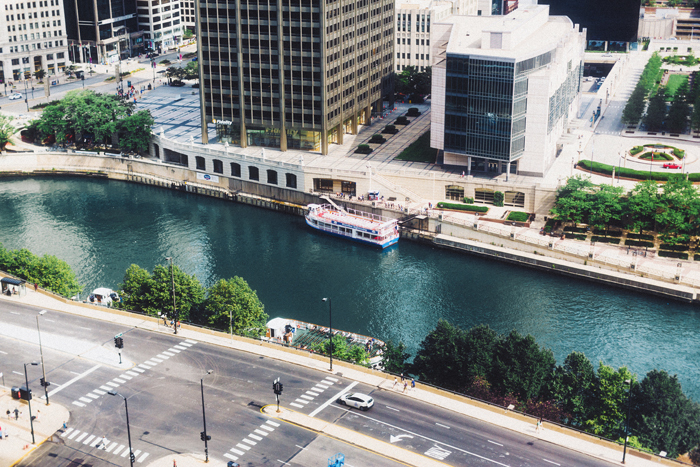 Would you recommend the Adler Planetarium? We really liked it! 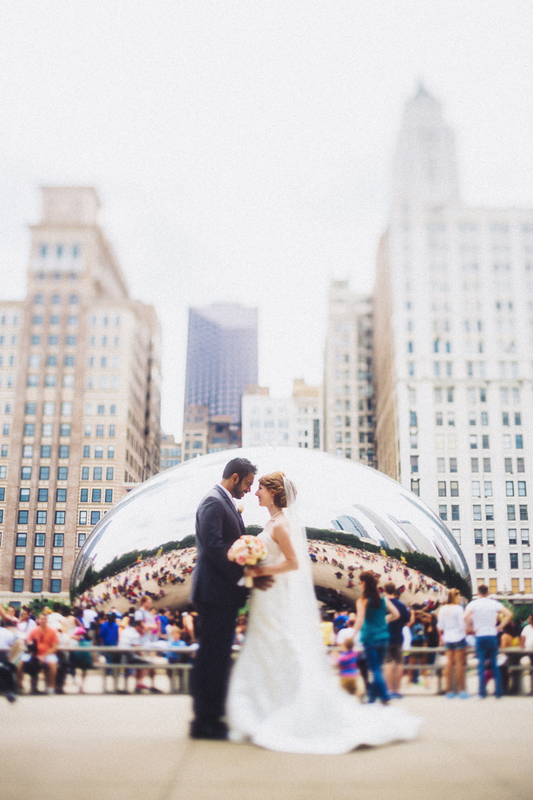 We were so happy to get a Chicago icon! The only constraint at the Adler was that private events are evening-only, since the Planetarium is open to the public during the day. 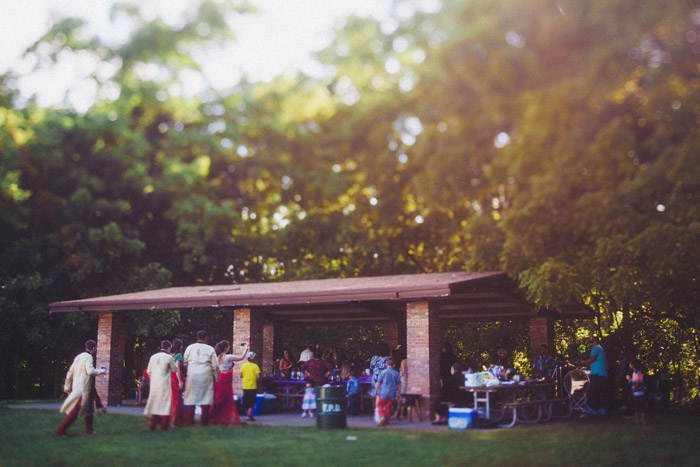 Seating for the ceremony started at 5:45pm and our vendors arrived a couple hours earlier to set up. The best part was that it was a Saturday and Chicago does fireworks every Saturday during the summer. Our guests got to enjoy that! 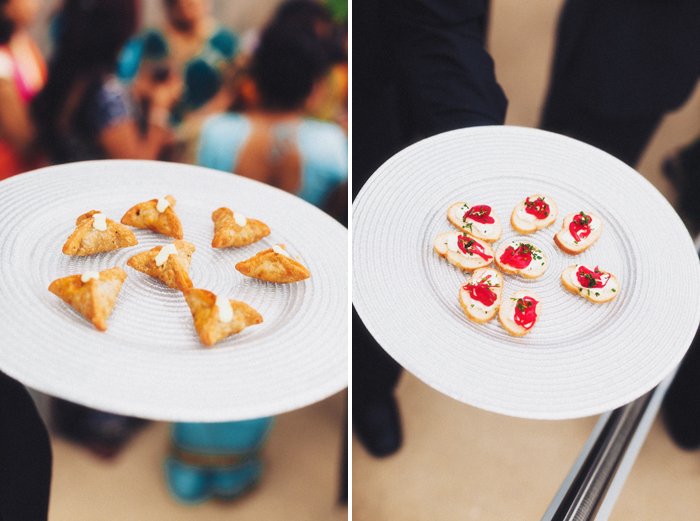 There was one snafu: despite emphasizing dietary restrictions, the catering company served beef samosas. We thought was a weird item to have on the menu in the 1st place. However, luckily the mistake was caught and dealt with quickly. They just stopped serving samosas altogether instead of trying to make the vegetarian one’s we had ordered. 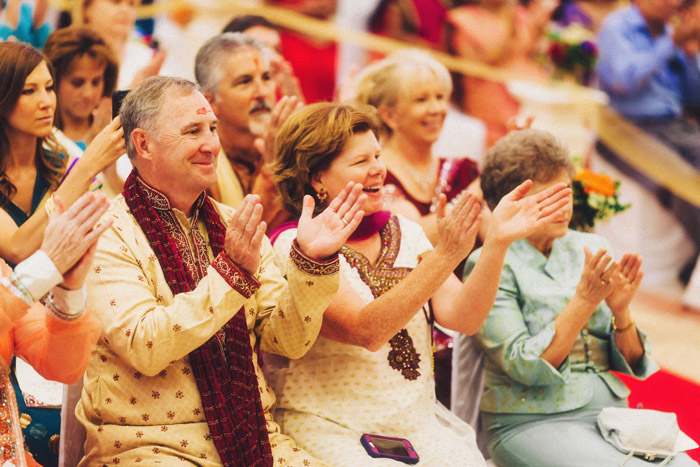 Your family had never been to an Indian wedding. How did you bring them up to speed? My family was VERY excited about everything! They wanted to learn and be involved. After my bridal shower our families came over for aWedding Orientation night. 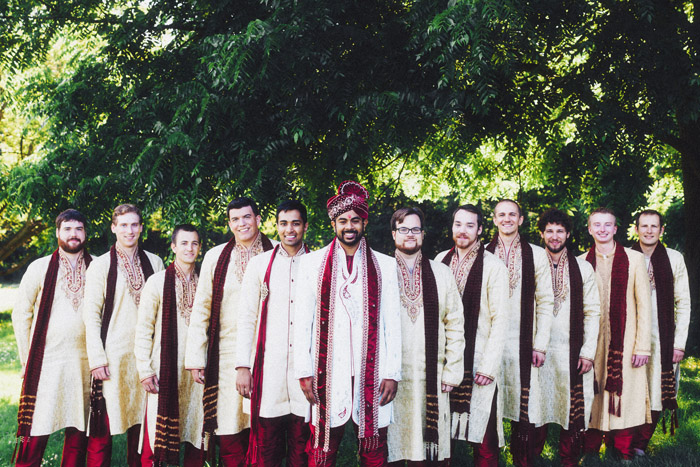 I even made a Wedding Orientation Pinterest board that had images and videos of ceremonies, clothes, the baraat etc. That was very useful to educate everyone on what to expect. Saagar’s family was very helpful in that process too. His parents and aunt were there that night too. Were were you staying during all of this? Saagar and I were staying at our homes. Streamwood is only about 30 minutes away so it was easy enough to drive there the day of the ceremony. I’m not a professional makeup artist but I have studied it a lot so I decided to do all my own makeup for the whole weekend. Saagar’s mom hired someone to do my hair, help me with my dupatta and get me dressed. 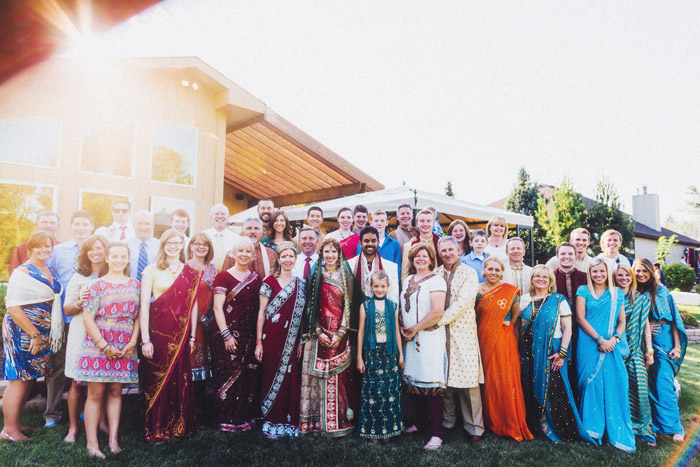 Did you arrange Indian clothes for your side of the family? Of course! My aunt took charge of that and collected a lot of Indian clothes for my family. 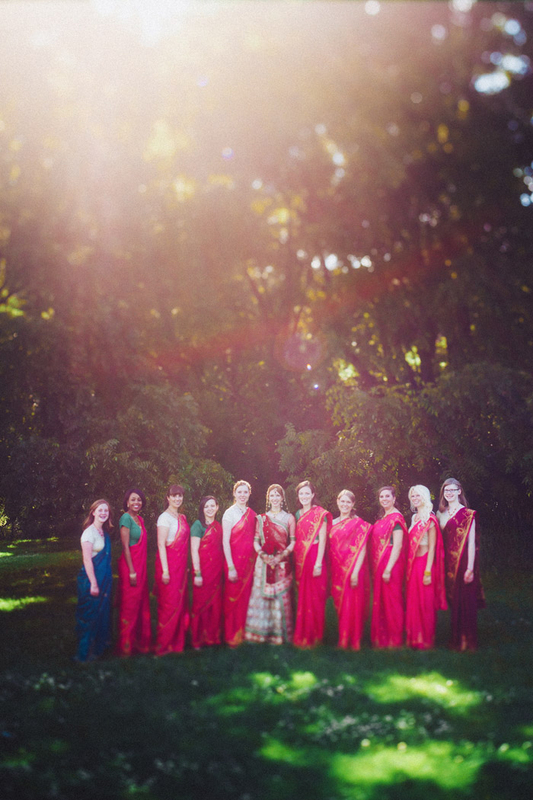 Everyone selected items to wear for the ceremony and garba. How did you organize and plan? 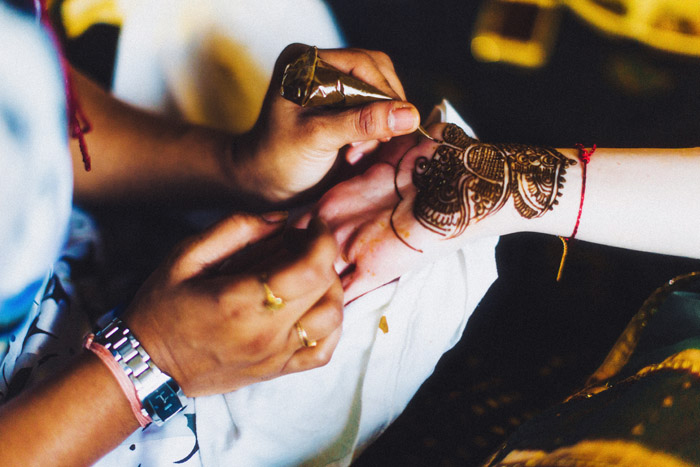 We didn’t hire a wedding planner as we were fortunate to have our families involvement as well as Saagar and I really being on top of everything. Saagar and I drove everything and our family members took on responsibilities and really saw them through. We couldn’t have done this without their love and support. How did you arrange clothes for the bridesmaids? The bridesmaids clothes happened by chance. I went to Devon Street – just for fun. 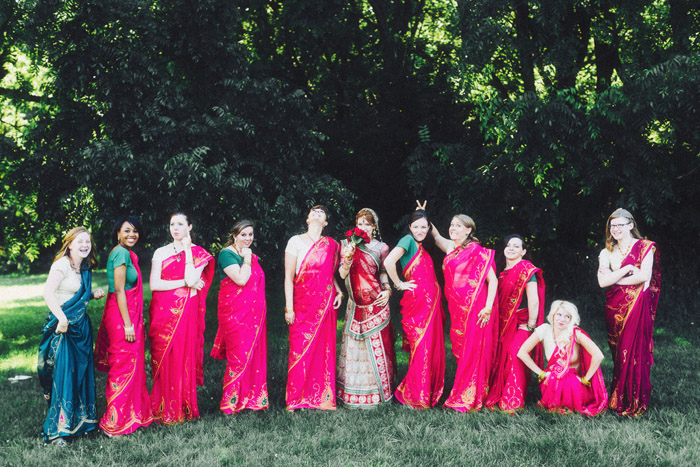 We were looking in a clothing store and they happened to have several similar hot pink saris that met my budgetary needs. 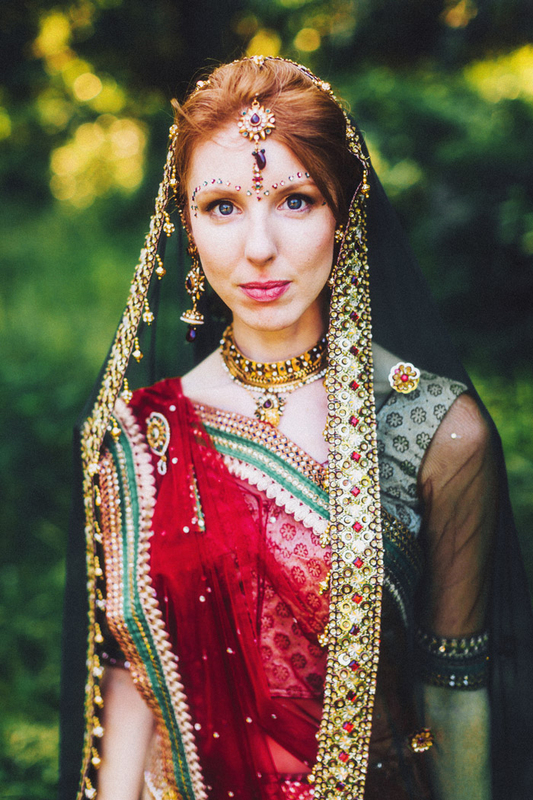 I had originally planned to buy lehenga-saris online. And I gifted it to the girls during the orientation night. My family is really close. 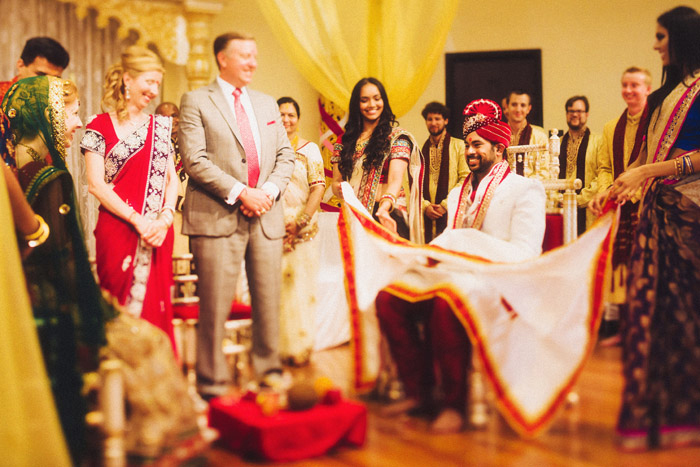 So every new thing my family learned about the Indian wedding they were just ecstatic for. 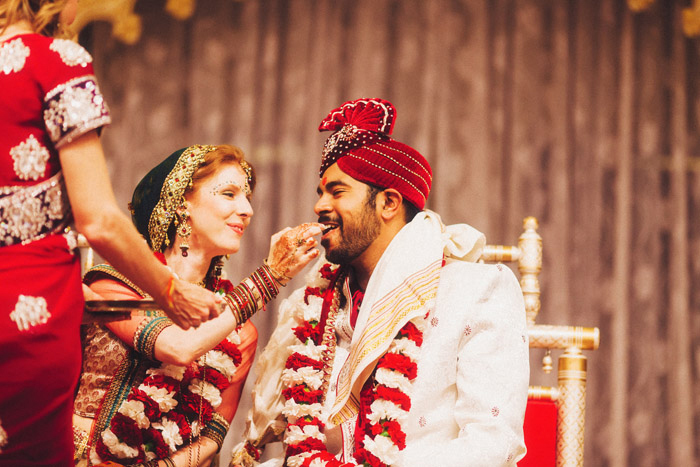 They were actually hoping the wedding would be in India! 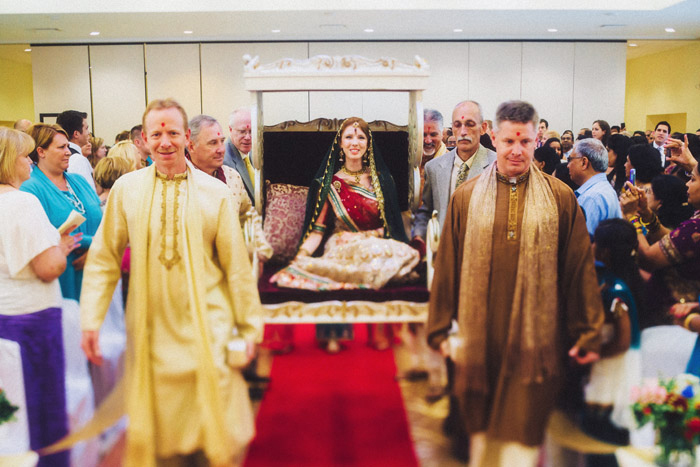 During that orientation night, I explained that in the Hindu ceremony the maternal uncle brings in the bride and if you really want to go all out, he can bring you in on a doli which means carrying the bride in. You should have seen them when I said that, they were cheering and clapping. 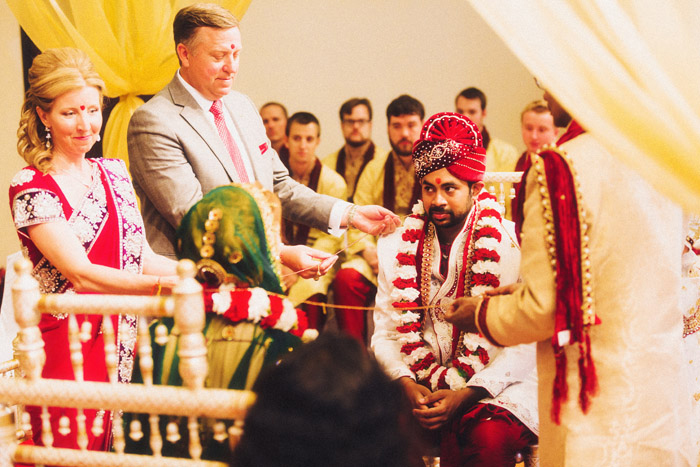 I think Saagar’s family was a little nervous about how my family would react to the traditions etc. but when they saw how elated they were, from that point on everything was a piece of cake. 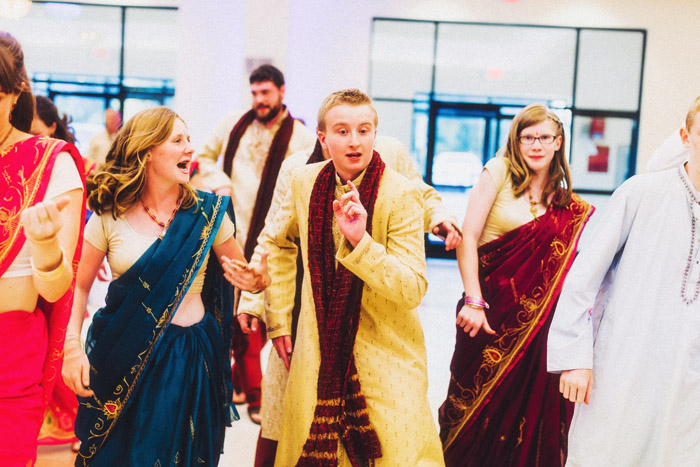 The idea that cousins are your brothers and sisters – I love that about Indian culture. I spent a lot of time growing up, with my uncles, aunts and grandparents. 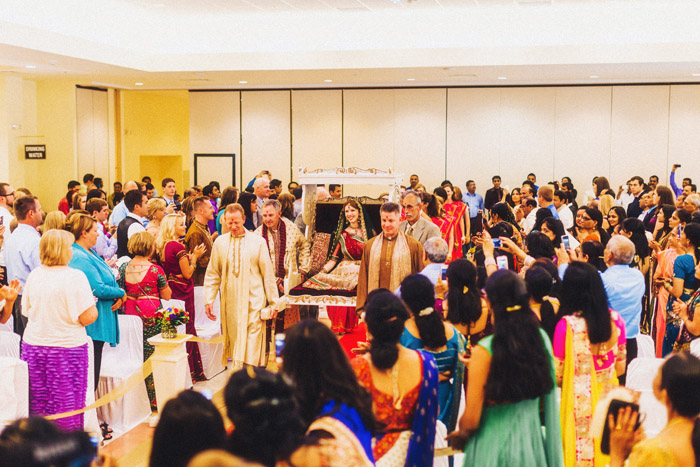 So the importance of maternal uncles in the Hindu ceremony + my dad walking me in at the Western ceremony – it was perfect. 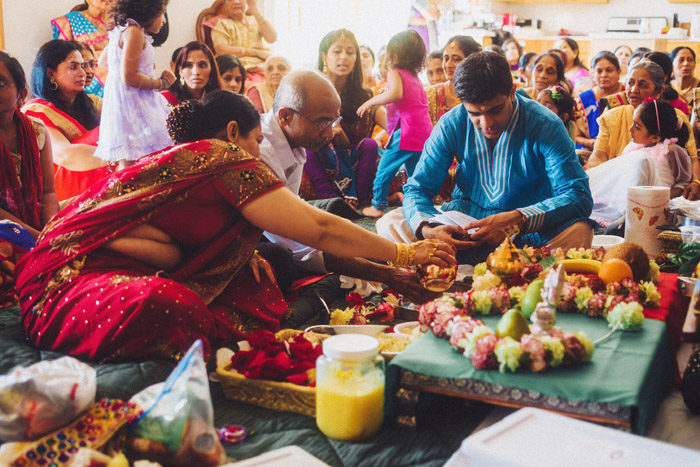 One thing I really wanted was for our families to be together the day before the Hindu ceremony. 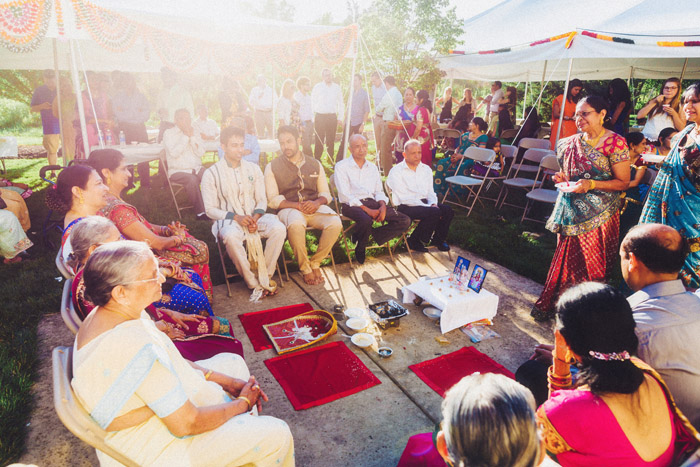 Typically the pithi, pooja, and mehndi are separate for each family. 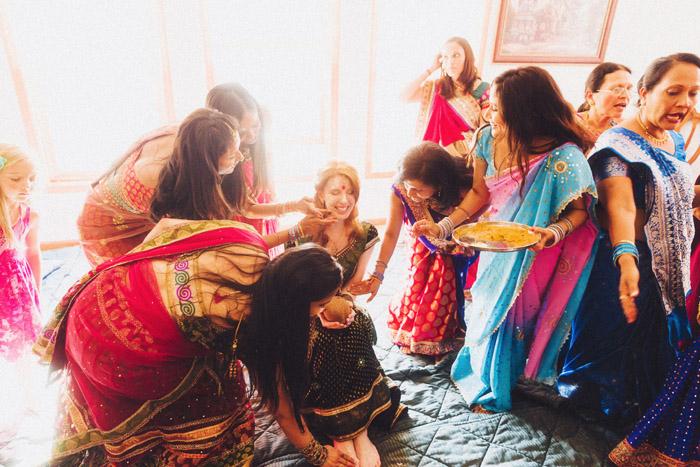 Doing these traditions together changed the whole dynamic of the weekend. My FIL still talks about how we were dancing in the street in front of the house that day. 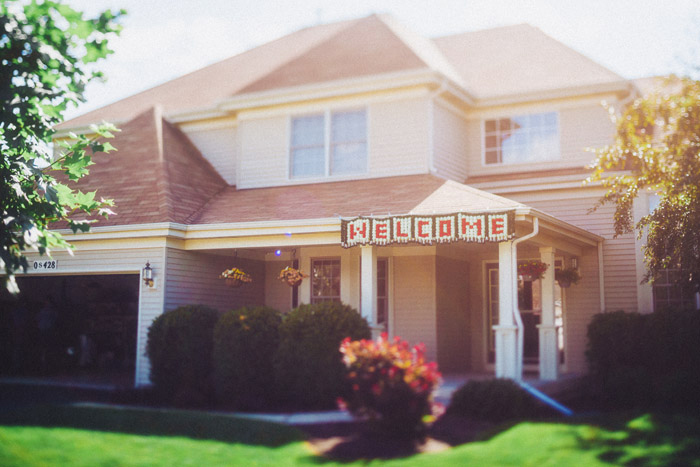 Try to get a solid idea of what you, your fiance, and both of your parents want to be included the wedding; and keep an open mind. 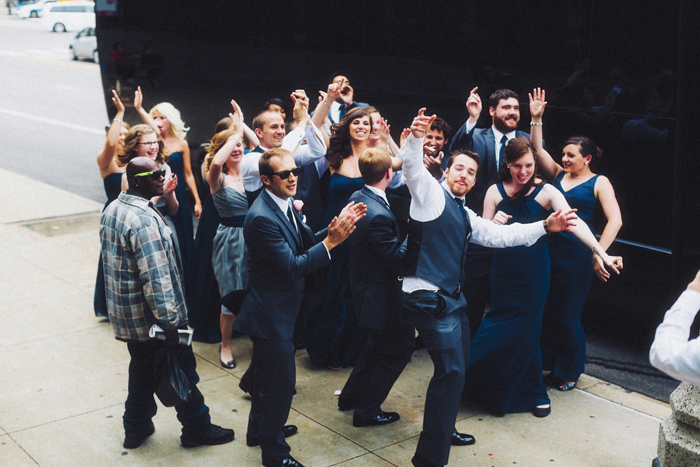 Having squad goals as an immediate family helped get the rest of our families excited. 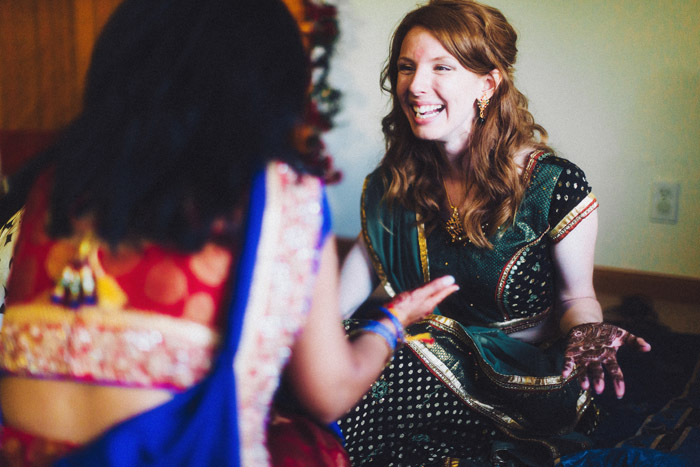 My first references to understanding Indian weddings were my fiance and his parents, but extended family was helpful too (be aware too many voices could mean you get inundated with more advice than necessary). I borrowed a wedding DVD from his cousin that my family and I watched–that helped immensely because there’s so much to learn. Once you have your plan down it’s important to communicate things to your extended family. For the family and friends that were going to be involved in the wedding we did the “orientation” night, but even for family that was just witnessing, it occurred to us we should tell them (many of whom are Catholic) that because it is long, it’s not uncommon for some people to eventually stand, use the restroom, or even enjoy snacks and water throughout the ceremony. We also were lucky in that the priest was very open about explaining each part of the ceremony. He kept it lighthearted and had people laughing. If you really want family to feel like they are a part of your day you have to make sure they know what’s going on. 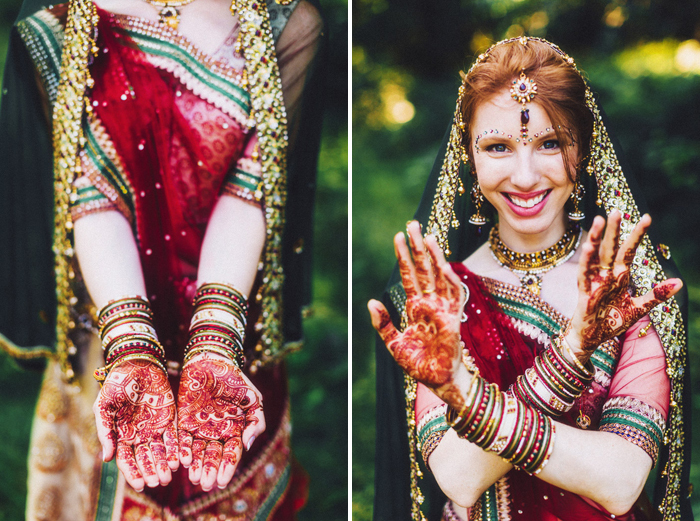 Something else to consider is whether the groom’s family is going to gift your outfits to you as a bride. 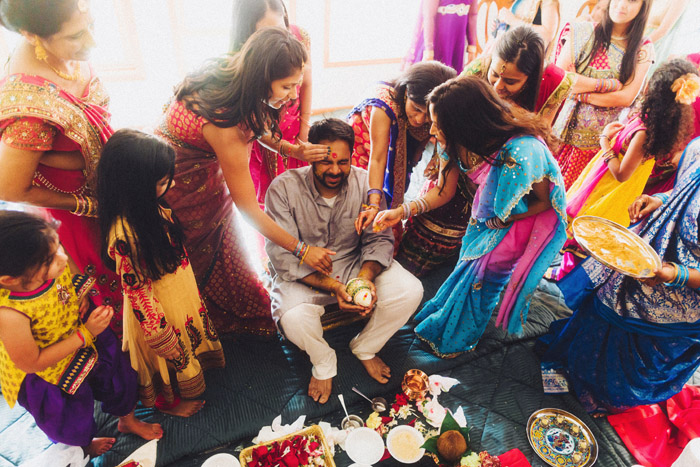 I’m not sure how many families here in the States practice this, but Saagar’s family did. 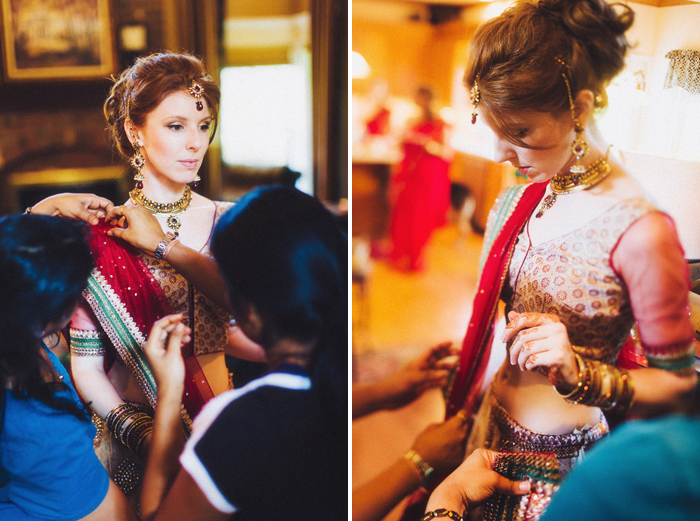 Admittedly, I was really nervous about it, but with some discussions about color ideas it all went well and my lehengas and jewelry were absolutely beautiful gifts from my new family; it brought a different kind of excitement to the planning and having one less thing to do took a little stress off of me. If you’re not comfortable with that it may be best to discuss with your fiance and find a respectful way to decline. 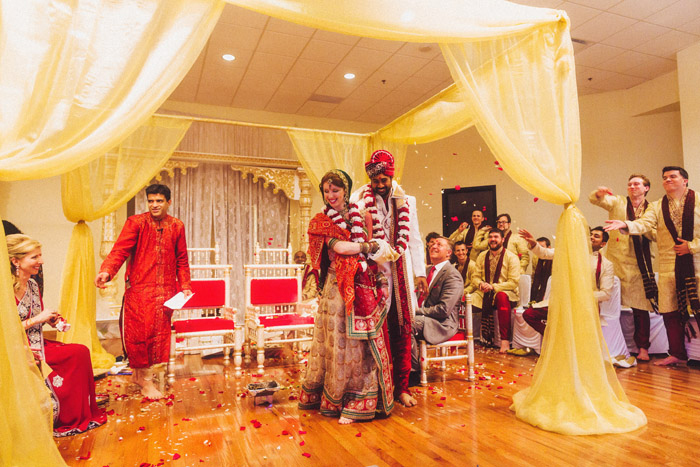 Having two ceremonies meant we had the opportunity of two reveals. 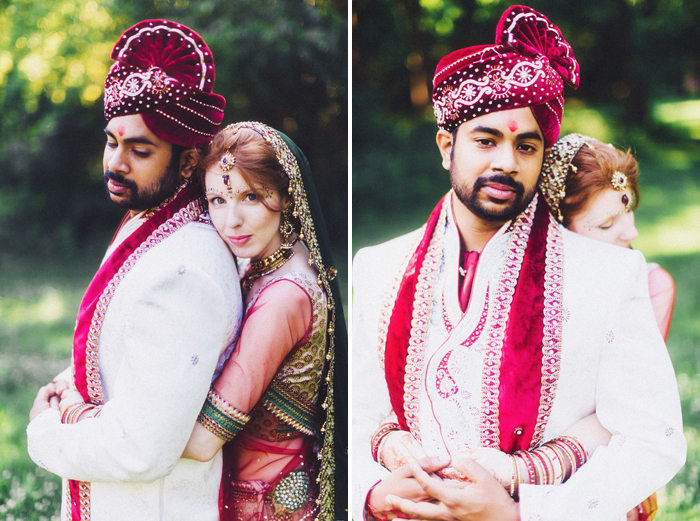 On the day of the Hindu ceremony we waited to see one another. I’ll never forget that moment of waiting for the antarpat to be let down as the Priest jokingly explained that this was our “first time seeing one another.” We all laughed and my nerves calmed. 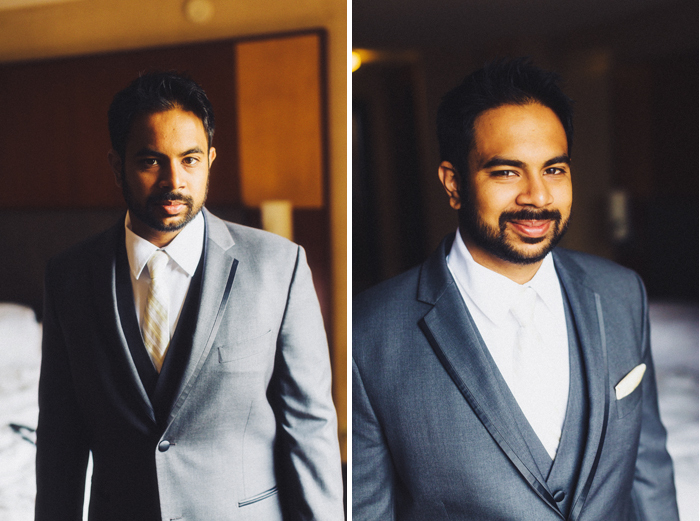 Seeing Saagar’s smile after the antarpat was gone…then he mouthed to me, “You look beautiful.” I can’t even…I melt every time I think about it. 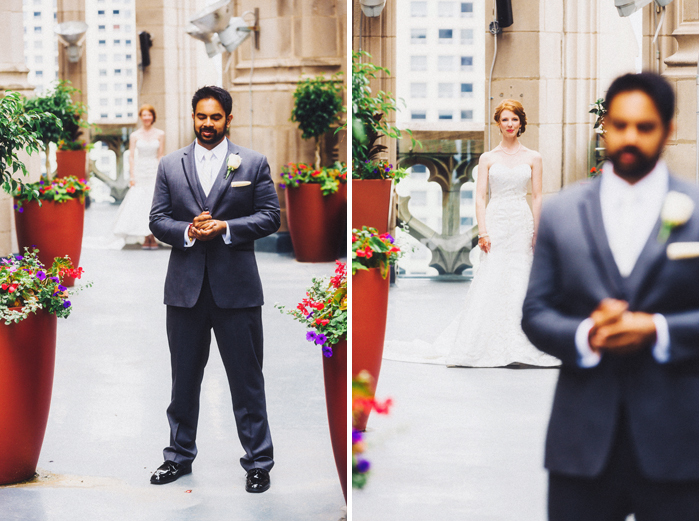 The day of the Christian ceremony we did a first look together which was much more calm and intimate, but still amazing because a wonderful friend was able to get us up on top of the Tribune Tower for it. The view was breathtaking.